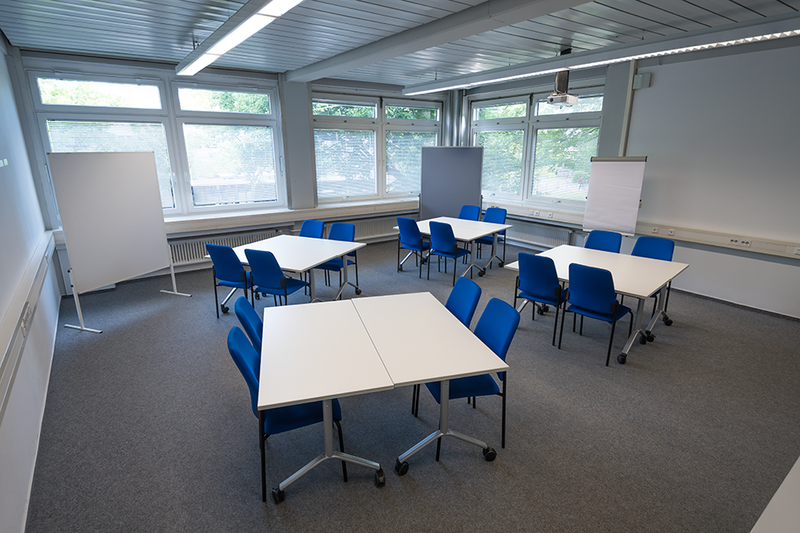 The MUL (multifunction) room is divided into two areas. The front part has computer workstations for 16 users. Students can use the computers for Office or other standard applications. In addition to this, thanks to the Sanako-Tandberg language lab software study 1200, various other special functions are available: with the help of headsets, students can conduct language exercises with one another or with their teacher. As the software functions are very extensive, it is advisable for teachers to ask the ZfS staff for a comprehensive introduction, or an explanation of some of the basic software functions available before their first session in the room. 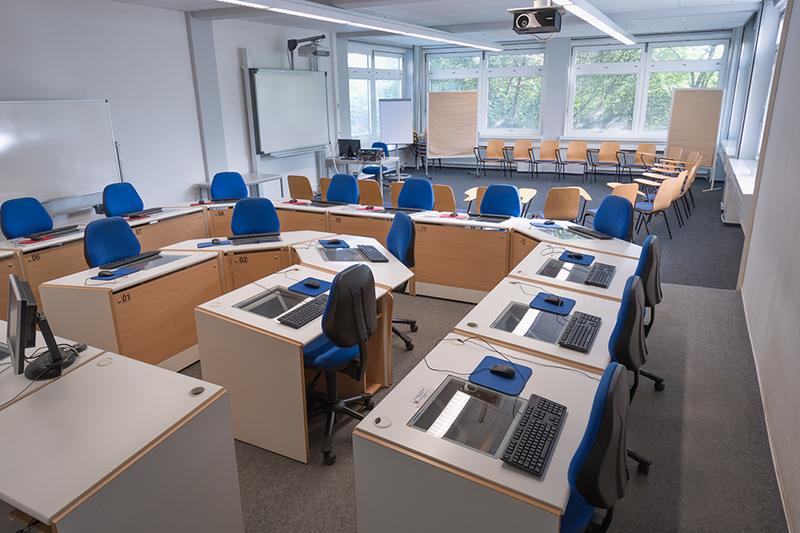 In the back part of the room there is a second projector, an interactive whiteboard and enough room to hold seminars or other interactive activities. In the MAC room a mobile classroom with 16 MacBooks is available. This room offers seating for up to 30 students. Videos or presentations may be shown via the projector connected to the teacher’s computer.